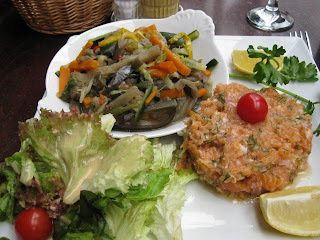 After five days in Perignan, I returned to Paris on Sunday September 7. 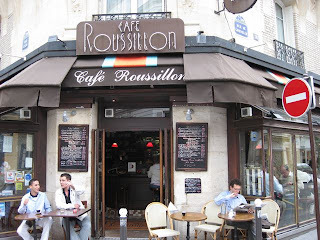 My first stop was Café Roussillon on rue de Grenelle for Salmon Tartare. It was good but too much dill for my taste. The Baker, the Candlestick Maker.